Thanks so much for this, I’ve been looking for a comparison like this one for quite a while now. 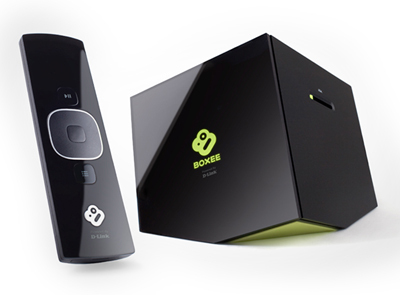 (2) Can one attach both a Roku and a Boxee to the same televison concurrently so that you have the functionality of both always available? 1) Yes, the Roku will play local media off the USB port (I’ve only tried thumb drives, but I can’t see any reason a hard drive won’t work). It’s not perfect at it, though, sometimes I’ve had difficulty getting files to play. 2) Yes. As long as you have the HDMI ports on the TV, you can hook them both up to the same TV at the same time. 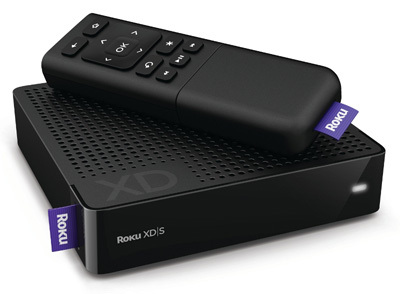 The Roku (the XD/S model) also has component video out, so if your TV only had one HDMI input, you could use that for the Boxee and use component for the Roku. The quality won’t be as good as with HDMI, but for most streaming video it will be fine. Thanks SO much for your prompt and thorough reply! My three unequivocal needs are (1) Amazon streaming (2) Netflix streaming (3) local content playback. Since both boxes accomplish these three items, it’s the ancilliary features that have me stuck, but your head-to-head comparison and and answers to my follow-up questions have clarified matters a bit. What I’m really hoping for in the way of additional-to-the-above functionality is something as close to “the cable tv experience” as I can get. Per a PCMag (I think) review, this means the Boxee should be my choice, but, when it comes right down to it, is “the cable tv experience” a NEED or a LIKE? I will probably end up going Roku and then adding a Boxee later if the Roku “channel” approach leaves me wanting (as some reviews have mentioned). If you’re looking for a “cable replacement” kind of box, I’d probably start with the Roku, too. 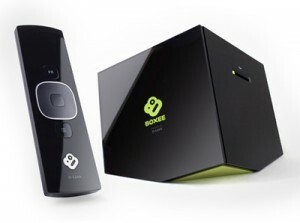 Amazon and especially Hulu Plus are super nice… I wish Boxee would get their Hulu act together. Good luck! And share your experiences when you get things up and running! There is also a media server software called Gabby. The client side is a Roku channel and the server side installs on the PC to serve up photos, videos and music. Enjoy. The lack of Hulu support finally made me disconnect the boxee box and put it back it its box. (In the closet.) We’ll keep it for a 2nd TV upstairs one day. Whoops. Did I? I forgot about that. But we needed Hulu streaming. The ability to pop a DVD in the front slot. And the super stable networking that only the mac can provide. Plus, I was toying with the idea of getting an HDHR3 and running EyeTV as a DVR. But that may not be necessary. We have yet to find a show that’s not easily available through streaming or download. It’s fun being on the cutting edge of cable cutting.